1 Peter 1:23- 2:3- “For you have been born again, not of perishable seed, but of imperishable, through the living and enduring word of God. For, “All people are like grass, and all their glory is like the flowers of the field; the grass withers and the flowers fall, but the word of the Lord endures forever.”And this is the word that was preached to you.” Craving means to have a great desire. Q. 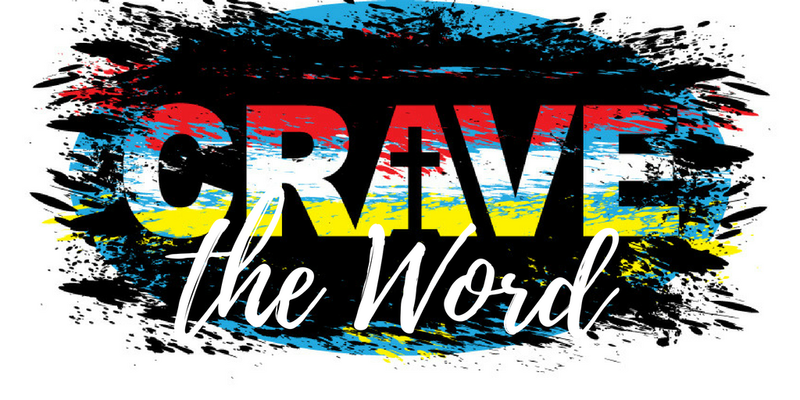 Do you crave the word of God? John 8:31-32- ““If you hold to my teaching, you are really my disciples. 32 Then you will know the truth, and the truth will set you free” If you know the word and you obey it, then we are his disciples. In Psalm 1:2 the psalmist says, blessed is he whose delight is in the law of the lord and who meditates on it day and night. Q. Is it a delight or is it a chore? Sometimes, it’s our flesh that wars against holy desires. We say to people, youre in my heart. It means, you’re close to me. Think about this- you wake up late and you have to make a choice between having breakfast or read the word. What would you do? Job 23:12 says I have treasured the words of his mouth more than my daily bread! If he had the choice, he’d have read the word. The normal is that we need to desire and delight in God’s word. 1 Peter 2:1- like newborn babies, crave pure spiritual milk. Babies are cuddly and lovely. But they are helpless. They can’t do anything. They are only interest in milk! Peter is giving us a strong simile. Once the baby gets hungry there is no more peace. This is the aspect of new born babies that peter wants us to imitate. Q. How does someone come to know Jesus? It is only through the word of God. Peter could have said, teach the word, meditate on the word, hide the word on your heart, etc. they are all important, but he says, crave for the word. The starting point is to crave it. We need to ask God to change our appetite. Q. What do you spend more time on? It is not what you say you crave, it is the amount of time you spend on what you’re doing. Peter is reminding us that we are born again by the word of God and so you will crave the word of God. Then he says, rid yourself of all slander and malice,etc. 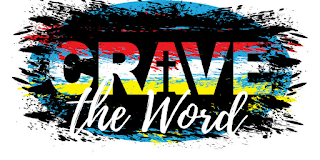 If these things are in your life, you cannot crave the word of God. If a little child has had a lot of junk food, they won’t want to have milk. The Bible will keep you from sin and the sin will keep you from the Bible. Pure spiritual milk- is uncontaminated word of God. You need to be careful where you are eating from. When you have kids, you sterilize whatever goes into their mouth. In the same way, let’s start with the unadulterated word of God. Hearing from God is not a very difficult thing to do. 2. Start with the gospels if you are reading after a long time. Don’t read sporadically but systematically. The Bible is a series of letters. If someone you love wrote a letter, how do you read it? You start at the beginning and finish at the end. 3. Read it regularly. Feeding ourselves spiritually is similar to feeding ourselves physically. You don’t eat one big meal once a week. We feed ourselves many times a day- in bits and pieces. How can you eat an elephant? One bite at a time. So also read the Bible one chapter at a time. There is so much in the Bible that great theologians can’t understand it. But so simple that even small children can get it. 4. Keep a journal, put the date and ask God to speak to you from the word. If you skip a few days, you’ll know how often you’re reading. Q. How do you know the Bible is true? Just start obeying it and you’ll see your life transform. As you keep doing it, you grow strong. All the babies came out small and frail, but as they craved milk and fed on it, they have grown big. The same thing will happen in our spirit. We know the 25th of December we celebrate the Chrismas. What is the significance of Christmas? Where was Christmas first mentioned in the Bible? The Birth of Jesus is mentioned way back in Genesis 3. But before that, Genesis 1 and 2 is the account of the creation of the earth and everything in the world. The Bible begins with the assumption that there is God. It doesn’t explain God. Then God said- the Father, Son and Spirit working together, and the earth was birthed. Only man and woman were created in the image of God. they are a special creation. Animals are not in the same plane as men and women. We have the ability to imagine, create and improve, and an inborn desire to worship. People, even from even the most primitive tribes have this desire, to worship a creator much bigger than them. God’s order- God, man, and rest of the created world. The plan of God is for man to rule and subdue the earth. Work is not bad. God’s eternal purpose for us is to work. The sad thing today is, people want to work hard so they can retire and enjoy. God has called us to work and not to retire. There has to be a balance in life. And God gave them just one command. In Gen 3:1-2- “Now the serpent was more crafty than any of the wild animals the Lord God had made. He said to the woman, “Did God really say, ‘You must not eat from any tree in the garden’?””When the devil wants to lead us away, he puts a doubt on what God has done. Jesus, when tempted in the wilderness, used the word of God to fight the devil. Now offspring could be one or many. But we know it is referring to one particular offspring because it says in the next verse, he will crush your head. God was working out the salvation of mankind already because now man was going to die. The authority and Dominion has been taken away form them and passed on to satan. This offspring is going to save the people from eternal death and give it back to God. Q. 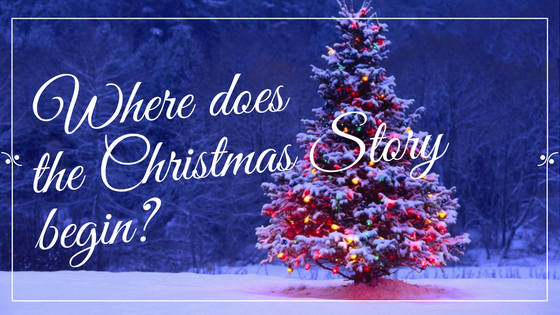 What is the significance of Christmas? He is going to save each human being and give us back our right over God’s creation. Isaiah 9: 6 “For to us a child is born, to us a son is given, and the government will be on his shoulders. And he will be called Wonderful Counselor, Mighty God, Everlasting Father, Prince of Peace.” This is the prophetic voice. Q. What is when the time had fully come? 1. There was pax romana- There was peace because of the strong armies of rome there was peace. 2. There was language that was common to a lot of regions because of the roman empire. 3. Romans built roads for the armies. But the roads made it easier for the people to travel as well. Jesus had to be born of a human being. Adam and Eve did not keep the one command. Then Israelites were given more commands. We can’t keep the law. That’s our sinful nature. In any religion, no one has always obeyed what the religion teaches. God sent his son, born under law to redeem those under law. He was not born under man. Jesus was conceived supernaturally by the Holy Spirit. Q. What is it to redeem? Imagine a small boy with a boat and one day it goes missing. He sees it in a store, with his name on it. He asks for it back since it belongs to him. But he is told that he has to pay for it. So he gathers the money and gives it to the shopkeeper to get it back legally. Because of Adam and Eve sinned, we are in debt. Jesus came and bought us back. He died for our sins and purchased us back. I thought earlier that God would see my good deeds and bad deeds and you go to heaven or hell depending on what is higher. But your good deeds cannot cancel your bad deeds. But if you believe in Jesus, we are saved. He gives us sonship and inheritance. God has so much in store for us. He says, one day we will judge angels! What does that look like? Christmas is about putting right the wrong that was committed in the garden of Eden. He has an inheritance for us on earth and in heaven. It requires for me to obey what God has said. In Revelation, God says, he’s coming with his reward. What he wants for us is to joyfully obey him. Sometimes in life, we are waiting for a breakthrough- maybe in the area of health, finances, etc. most people are looking for it- to see something supernatural. Most people would say that breakthrough is related to finances. We will look at an account in the Old Testament where there was a lady who wanted a breakthrough. These things are written as an example for us. 1 kings 17- there was a lady who lived in Zaripah. She was a widow, she had a son and they didn’t have enough food to eat. She just had a little flour and oil. After that, they had nothing else. Do you think she needed a breakthrough. Maybe you are also in a bad situation this morning. Let’s look at what happened. This is the background- 1 Kings- Ahab received a word from God through Elijah that there won’t be any rain till he orders it. Then, Elijah was fed and looked after by ravens. They brought him food. Then God asks him to go to Zaripah where he commanded a widow to provide for him. A piece of bread was too much to give for her. So, she needed a breakthrough. God provided her with an opportunity for a breakthrough. Elijah asks her to first make a small cake of bread for him. Here is the test. First, give me a piece of bread. Then he gives her the promise- “For this is what the Lord, the God of Israel, says: ‘The jar of flour will not be used up and the jug of oil will not run dry until the day the Lord sends rain on the land.” Elijah asks her to give him the little. The Lord is going to give you enough to sustain her till the rain comes. The widow could have asked for him to first bless her. When you have stacks of bread at home, giving something out of that is no big deal. Giving when you don’t have it, that’s faith. This widow had faith. Elijah- God would have provided by other means. It wasn’t Elijah who was in need. It was the widow’s opportunity for breakthrough. The miracle took place! They ate and survived for a long time. They had abundance for a couple of years. That wasn’t the end of her blessing. If the woman turned Elijah away, her son would have died and there would have been no resurrection. She received in kind, sowed in bread, and received bread, but also breakthrough in her son’s life. If you’re looking for a breakthrough, give sacrificially and generously. Q. How should we give? In everything we do, we want to be biblical. We can give to just fulfill an obligation. This money goes towards uplifting the poor, meeting the needs of the poor, education, preaching the gospel, to fight human trafficking, to meeting our own needs, leadership training, development and making disciples, strengthening marriages, etc. Q. 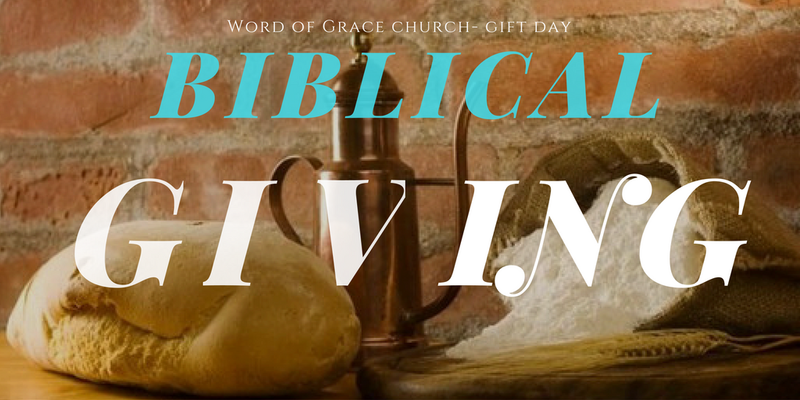 So how do we give biblically? 1. Give passionately- passion has everything to do with giving. John 3:16-God is a giver. Everything we have comes from God. He gave his son to die for us, because of love. Our giving needs to be accompanied with much love. In 1 Cor 13:3- “If I give all I possess to the poor and give over my body to hardship that I may boast, but do not have love, I gain nothing.” Love, that’s the way to give. 2. Give proportionately- The amount is not as important as the proportion. It’s how much you’re keeping back. For some people, 10000 rupees may seem like a big amount. But it depends on who is doing the giving. Mark 12:41- 44 “Jesus sat down opposite the place where the offerings were put and watched the crowd putting their money into the temple treasury. Many rich people threw in large amounts. But a poor widow came and put in two very small copper coins, worth only a few cents. Calling his disciples to him, Jesus said, “Truly I tell you, this poor widow has put more into the treasury than all the others. They all gave out of their wealth; but she, out of her poverty, put in everything—all she had to live on.” The key thing here is that Jesus was watching and keeping track of all that was happening. Imagine a father taking his son out to McDonalds, orders a nice burger, fries and coke. Then the father goes and asks for a French fry and he says, no! We are all born inherently selfish. Kids do that, saying it’s mine. But the father is the source of that wonderful meal. The child has not realized that the father can just take it away and can buy himself ten such things without thinking. The father is asking to teach the child to give. So let’s give proportionately. 3. Give generously- This is New Testament giving- like Mary and the alabaster Jar. The Jar was worth one year’s wages. Zaccheus, when Jesus came into his life, he gave half of his possessions to the poor. That is generous giving. Barnabus sold the land he had and put it at the apostle’s feet. This is New Testament giving. 4. Give Sacrificially- David is offered by Araunah to take his stuff and offer to God. But David says, I can’t offer what does not cost me anything. Ask yourself, is this costing me? That is the attitude with which we give. Those who sow in tears will reap in joy. There is a cost in giving. The Macedonian churches, their extreme poverty welled up in riches. How does that happen? 5. Give in faith- Give believing that God will do something with my giving. In the Bible there is a principle of sowing and reaping. If you want to get bananas, sow bananas, to get apples, sow apple seeds. Genesis says, as long as the earth endures, sowing and reaping does not change. As you sow money, you get back money and you get much more! It is an act of faith. Paul reminds us this- whoever sows sparingly will also reap sparingly and whoever sows generously, you will reap generously. God promises to give us abundantly. Q. How do we get our money from earth to heaven? Western union? What is the IFSC code of heaven? God says, as you give to God’s work, you will lay up for yourself, treasures in heaven. It is more blessed to give than to receive. Giving is like breathing out. You can keep breathing in but you need to breath out to be happy. In many cities, we see people begging. These people are incomplete- either they have no hands or legs. They are human beings, but they’re not complete. Some of them have deformities. Some may have extra organs. There are another kind of bodies- like in the 2016 Olympics, the gymnasts doing amazing things. We are a part of the body of Christ. Jesus did amazing things when he was on earth. He walked the water, people were saved and delivered, miracles took place. He died on the cross and went to heaven. So who’s going to do his work? There is so much need in the world. 2-3 weeks ago, in New York, I saw homeless people everywhere. Where is the Body of Christ? The way Jesus works is that he uses the church to do his work now on earth. In creation, God first forms. He separated the earth from the sea, the water from the sky. First he formed and then he filled it. He filled the sky with stars, the earth with vegetation, the water with animals, etc. After he fills it, he gave it a function. Man is a special creation. Throughout Gen 1, he created just by speaking. When he created man, he fashioned man with his hands. He then breathed life into man and he came alive. And then he gave him a purpose. He said, increase in number, fill the earth and subdue it. Q. What about the church? In the same way, God operates with the church. 1. He formed the church: Jesus’ disciples came together. were hiding and praying. They couldn’t fulfil their function because they haven’t been filled yet. It is the same thing with us. The day we come to know Jesus as our saviour, we are born again, we are formed. When you trust in Jesus as the only God, and no other God- you believe and repent, you are born as a spiritual being. Then we are filled with the spirit, which gives us different gifts which relate to our function. But we need to work together with these gifts. When we do this, we are the body of Christ. Q. Which kind of body would you want to be like? Do we want to be like the body that is deformed or sick or like a gymnast’s body which is strong and flexible and able to do great things? It depends on each one of us what kind of a body we are. Q. What are the different parts of the Body? 1 Cor 12:28- 31- “And God has placed in the church first of all apostles, second prophets, third teachers, then miracles, then gifts of healing, of helping, of guidance, and of different kinds of tongues. Are all apostles? Are all prophets? Are all teachers? Do all work miracles? Do all have gifts of healing? Do all speak in tongues? Do all interpret? Now eagerly desire the greater gifts” There are multiple gifts in the body. God has given you something. 1 Cor 12:14- 18- “Even so the body is not made up of one part but of many. Now if the foot should say, “Because I am not a hand, I do not belong to the body,” it would not for that reason stop being part of the body. And if the ear should say, “Because I am not an eye, I do not belong to the body,” it would not for that reason stop being part of the body. If the whole body were an eye, where would the sense of hearing be? If the whole body were an ear, where would the sense of smell be? But in fact God has placed the parts in the body, every one of them, just as he wanted them to be” No matter what your personality and gifting, God has formed you, filled and given you a purpose which is different functions. Q. Which is the more important part of the Body? We all need one another. In fact, in verse 22 it says, “On the contrary, those parts of the body that seem to be weaker are indispensable”. We have to find out, what our gift is. Sachin tendulkar has scored thousands of runs. He has done it with his hands. But if his hands were not connected to the body he wouldn’t have done anything. Whatever gift God has placed in you, for it to be brought into fruition, you need to be connected to the body correctly. Eph 4:16- “From him the whole body, joined and held together by every supporting ligament, grows and builds itself up in love, as each part does its work.” As we are rightly connected to the church, we will grow. Another list of gifts are given in Romans 12:3- 8. There are more gifts than these because the Holy Spirit is limitless. One of the values I spoke about earlier is that we are there for one another’s success. We identify the gift of people and bring it into maturity. We are in this together. There is no competition in that. In a car, there are wheels without which the car won’t even move. They are indispensible. So find out what your gift is so that it can serve the body. Acts 20:31- Paul preached the word and warned them about certain things. Matthew 21 is one of those warnings- Jesus and his disciples saw a fig tree. Jesus was expecting fruit and fruitfulness from the fig tree. But when it didn’t, he cursed it an it withered. Jesus is keeping note of what we are doing with the things he gave us. Rev 2:19- “I know your deeds, your love and faith, your service and perseverance, and that you are now doing more than you did at first.” Here is the lesson for us. Jesus is keeping score. Are we serving, and are we serving faithfully. There was an increase in what they were doing. We need to keep growing in what we are doing. Rev 3:1-3: “These are the words of him who holds the seven spirits[b] of God and the seven stars. I know your deeds; you have a reputation of being alive, but you are dead. Wake up! Strengthen what remains and is about to die, for I have found your deeds unfinished in the sight of my God. Remember, therefore, what you have received and heard; hold it fast, and repent. But if you do not wake up, I will come like a thief, and you will not know at what time I will come to you.” Jesus speaking to the church in Sardia- these are some strong words! God has called us to do. And for doing it, we have a heavenly reward. Rev 22:12- “Look, I am coming soon! My reward is with me, and I will give to each person according to what they have done.” The good news is that Jesus has chosen us. 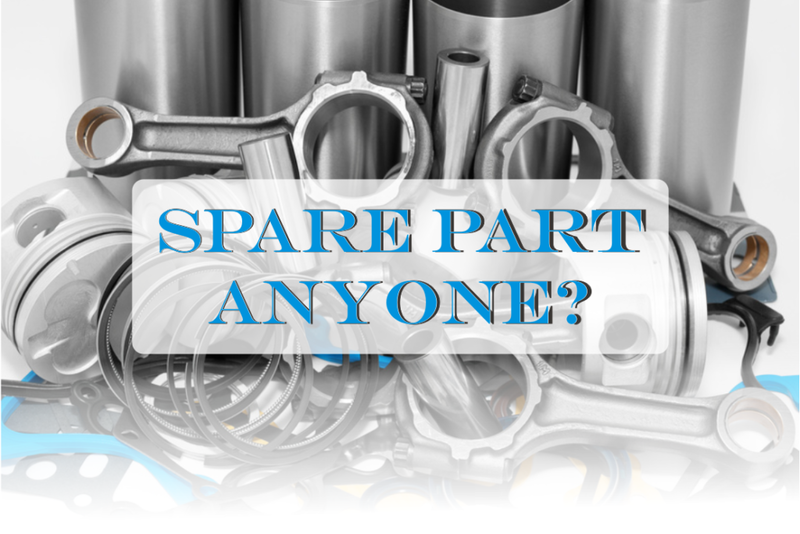 Our response is- what did you give me and what do I do with it?